Smith brings their unique helmet design to the road with the Overtake MIPS. It features the same Aerocore™ construction as their all-mountain Forefront helmet that uses welded Koroyd® co-polymer tubes to provide a 360-fit that adds protection and maximizes breathability. This innovative inner structure allows for more vents (21 in all) to be added into the shell without sacrificing safety, and it's also resulted in better aerodynamics, having tested with noticeably less Wind Averaged Drag than some of the popular aero-touted road helmets on the market. This new Aerocore™ technology has been combined with other great design features like sunglass storage integration on the front and back to keep them out of the way when not in use. Incorporation of MIPS cutting edge multi-directional impact protection further enhances safety by reducing rotational forces on the head during real-world impacts. To save cramped necks when riding in the drops, the brow of the Overtake is made to have a taller field-of-view than other helmets, and new reactive-cooling X-Static lining along with Smith's VaporFit™ adjustable fit system make for a personalized and secure fit. North America Only. The manufacturer of this product does not allow us to ship to addresses other than the United States, U.S. Territories and bases, Canada, and the Carribean. My 1st road helmet, all ways used MTB helmets before this. I like the fit, weight& looks of it. 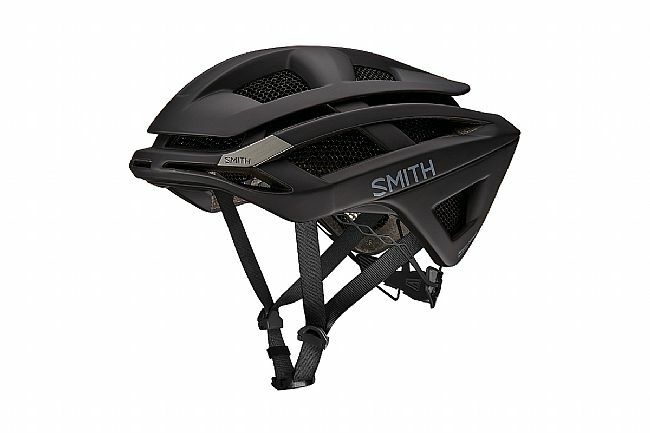 After my friend crashed and got a concussion, with a standard helmet, I got the Smith mips& glad I did. Seems to cut through the air, don't ever want to crash, but if I do this helmet will be on my head. A buddy bought this helmet and had great things to say about it, and, it looked great. However, he paid over $330! I wanted it, but wasn't willing to pay so much. Biketiresdirect had it for over $100 less. And, I could earn $21 in rewards (gold member). Great deal for a premium helmet. And, the one I got was MIPS certified God ultimate safety. I have had many road helmets over the years and I will say this is the best helmet to date. It is very aero and has a lot of ventilation for those hot steamy summer days. The fit is great and the forward view is unobstructed like many of Smiths rival competition. 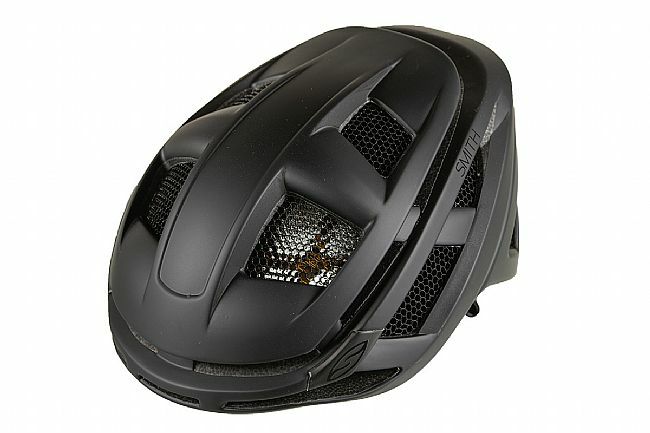 The mesh screen should be on all helmets, it keeps the bugsbees out yet does not obstruct airflow. Smith has hit a home run with this helmet! This is a very nice helmet. Incredibly light when you first grab it. I was a bit skeptical about the Aerocore and its ability to keep your lid cool, but after a few rides, I have no issues with overheating. As a matter a fact, I love the fact I don't get debrisinsectsbees caught in my hair anymore. I went with the White Frost in size Medium and it fits well. Hard to put a price on protecting your melon. And as usual, BikeTiresDirect had a good price on it and shipped fast! Purchased this helmet from BTD several months ago. It is extremely light weight and the most comfortable fit of any helmet I've owned. However, it does not vent well so I use an older Giro when it is very hot and humid. great helmet. 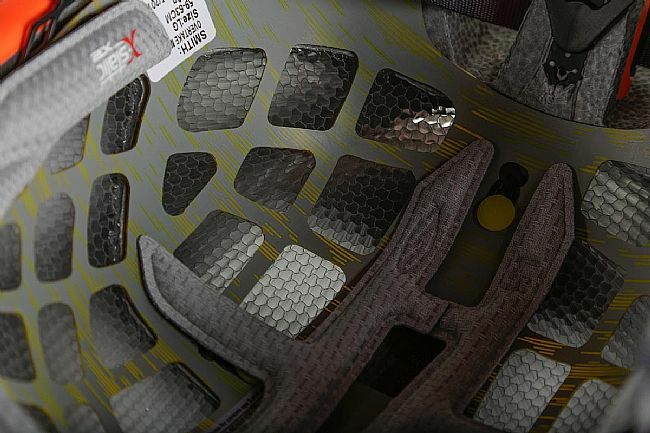 Really light, good ventilation, safe strong feeling. I bike 3 daysweek, have been in a head first collision, and do not take helmet safety lightly. I've had helmets from Giro, Bell, Kask, Catlike, and Lazer, and they'd always end up pushing my sunglasses down and had to constantly be repositioned. The Smith Overtake is the first helmet I've owned that didn't have this problem. It's very comfortable and I like the way it looks. Ventilation may be a bit slightly lacking compared to some of the more open high-end helmets, but I've worn it in 100 degree heat without a problem. Most comfortable helmet I've owned. Light and comfortable. Very adjustable fit - accommodates winter cap. Seems sturdy and stable. Use it for road riding and feel safer because of the high visibility orange color. The one negative so far is that because of the koroyd inner shell I haven't found a good way to attach my safe zone mirror. Great fit, looks and bee in your bonnet protection. Reasonably light. But here is the thing, none of that matters if it doesn't work. I crashed at 27mph on gravel. High sided it over the bars and hit my head hard. The helmet did it's job in spades ... the Koroyd collapsed and the helmet broke and displaced in the rear almost 2. I had zero concussion symptoms. Ordered another one without blinking an eye. Road riding 150 plus miles per week, I have two colors and now replacing white after a little crash. This helmet is VERY comfortable and easily fitted. I have not yet tried it in hot weather so I don't know how cool it will be. I'm a road cyclist. Fits well, is comfortable, and easily adjusted.